GYNECOLOGY & PRIMARY CARE (Orange Park) - Book Appointment Online! 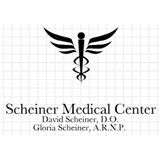 Dr. Scheiner takes his time and is very thorough. He makes sure you have no questions before you leave.